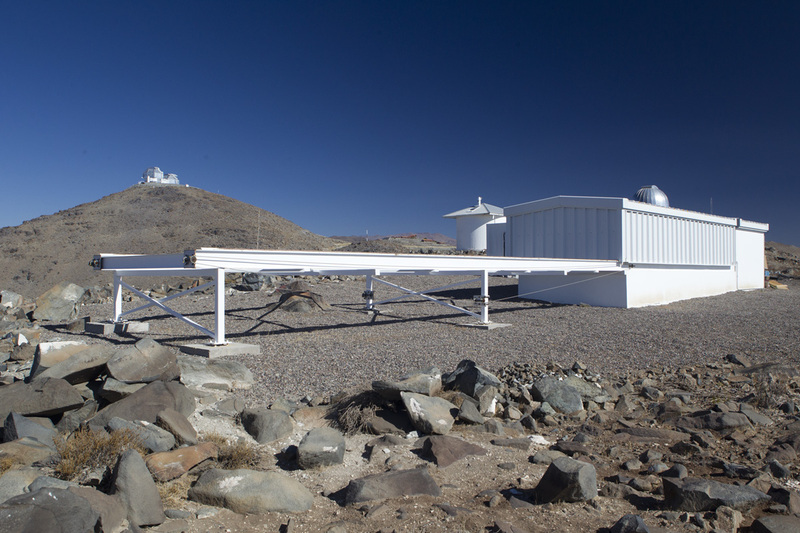 with use of the equipment apportioned on a monthly basis between the parties for science, deep sky imaging and Chilean public outreach efforts. 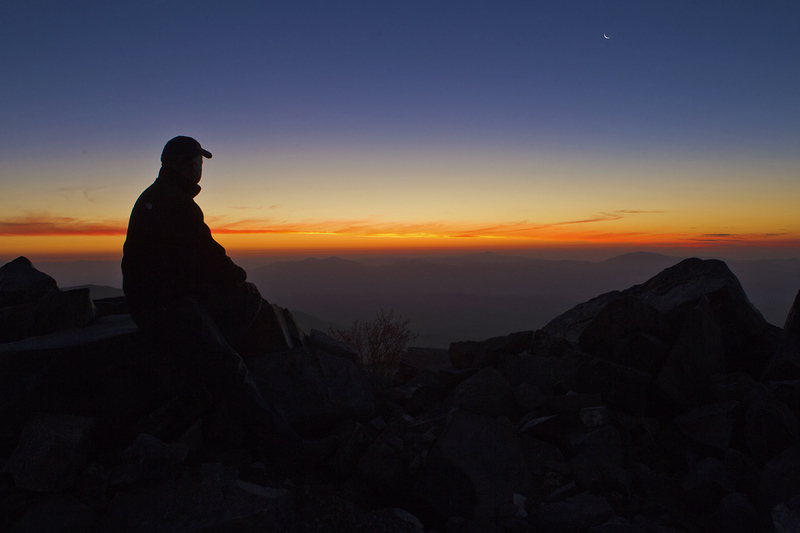 make this one of the finest sites in the world for astronomical research. Evening views of the Milky Way and Magellanic Clouds are simply breathtaking. 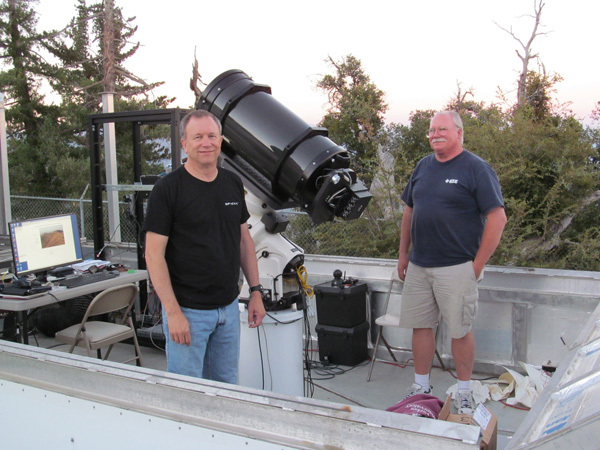 Mike Long (left) and John Hoot (right) pictured during shakedown testing at the Mount Wilson Observatory in California prior to shipping the equipment to Chile. Mike is a Trustee of the Carnegie Institution of Washington DC and Vice President of Carnegie Observatory's Giant Magellan Telescope (GMT) Project. Mike secured the roll-off for this project in an agreement with Carnegie and was instrumental in design/build of the control system. John Hoot, owner of SSC Corp in San Clemente, CA was responsible for software development, testing and commissioning for remote operation; a daunting job requiring a high degree of expertise. and myself to facilitate installation and commissioning of the system. Dave Jurasevich organized the major equipment donations and provided welding and machining services for the project. He was a member of the installation and commissioning team in Chile. 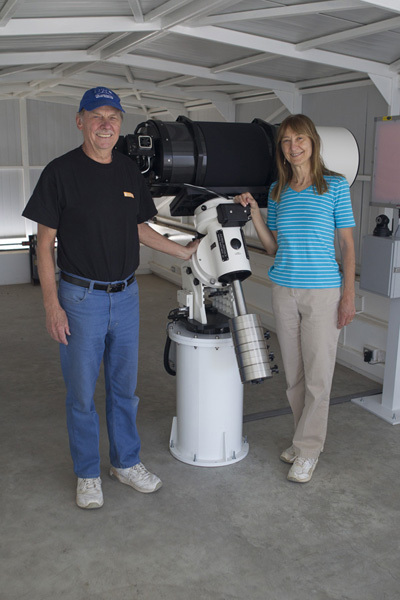 A major contributor to this project was Finger Lakes Instrumentation of Lima, New York, supplying at no cost the CCD camera, filter wheel, and focuser. A special thanks to Greg Terrance, General Manager for all his efforts in making that happen. Santa Barbara Instruments, through the efforts of Michael Barber, provided the guider camera for LCOBOT. 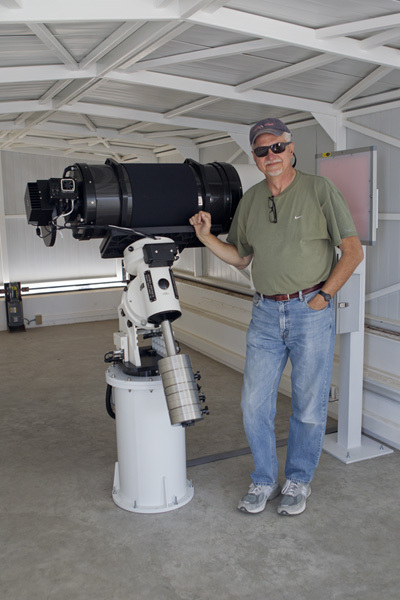 Don Goldman of Astrodon provided the project with deep discounts on filters and the MMOAG off-axis guider. OTA on the mount, which sits upon a specially fabricated 26” high stainless steel pier. 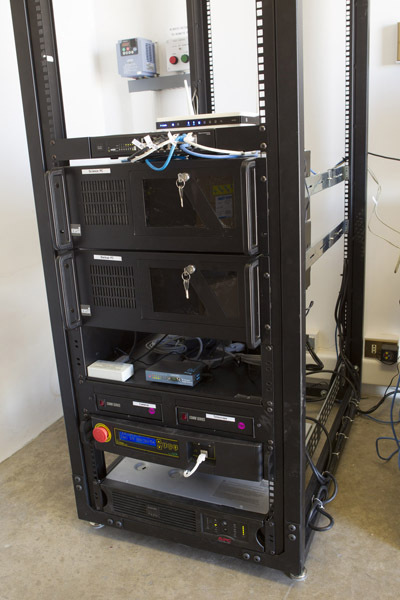 The computer rack is located in an adjoining control room on the south side of the roll-off. 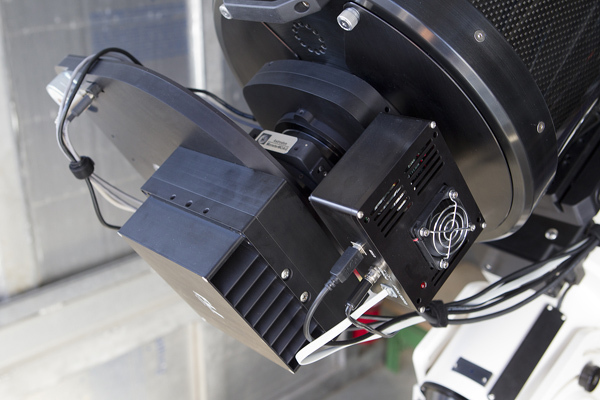 The imaging train is fixed to the back of the OTA (no instrument rotator), with all power and signal cables routed through the Astro-Physics 1600 mount for ease of cable management. Note the fan port and removable covers on the rear cell of the telescope. The light panel assembly for taking calibration flats consists of an Optec flat screen mounted on a custom fabricated aluminum stand. The power and controls for the flat screen are in the weatherproof enclosure mounted to the stand directly beneath the screen. 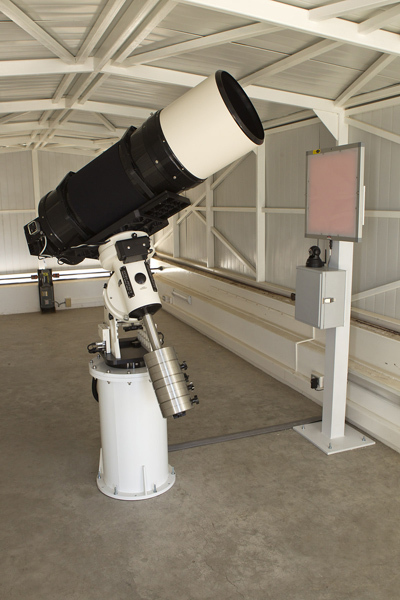 Note the small webcam mounted atop the enclosure for visually checking the position of the telescope. 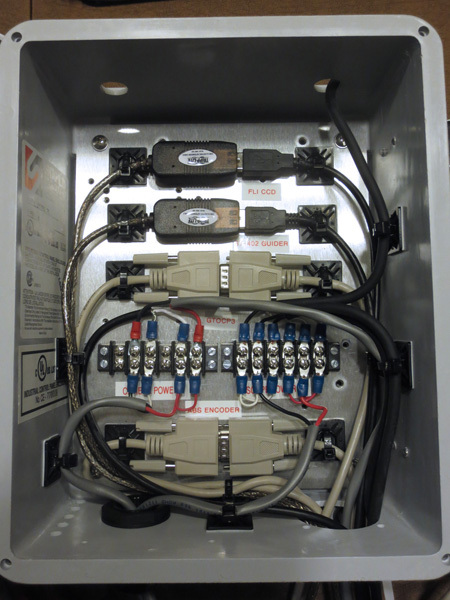 This box has since been upgraded with the USB extenders for the FLI and SBIG cameras replaced with an Icron Ranger USB Extender for more reliable service.